Here are descriptions of ten applications representing different social media technologies that promote learning. Many of these tools and services are free or have a free trial period, which can encourage experimentation. Although podcasts are a one-way form of communication, they enable the creation of user-generated content. Podcasts are fairly easy for anyone to make and with the free downloadable software, Audacity, it becomes an inexpensive option. Podcasts are a great medium for distributing an organization’s content and expertise because they can be played on hand held devices and computers. Users can record and edit audio with Audacity and it runs on most operating systems, including Mac OS X and Windows. Key features include recording through a microphone or mixer, digitizing recordings from tapes, audio editing, importing and exporting audio files, effects and quality adjustments. For details on how to create a podcast, see How to Create Your Own Podcast. Blogging to teach others is common in the public domain, but not so within an organization. Edublogs Campus is hoping to change that. 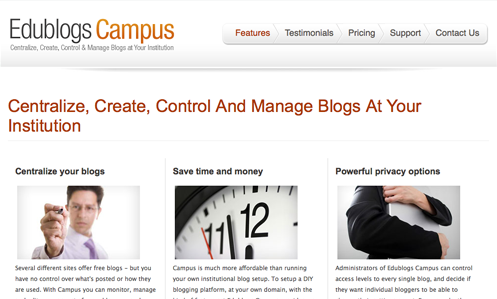 This software provides a way to centralize and manage blogs within an institution by hosting them all on one domain. Although Edublogs seems focused on academia, its also ideal for other types of organizations due to its centralized control, privacy options, security features, custom branding and support. In terms of promoting learning, employees could use blogs to write first-hand accounts of case studies, lessons learned, project debriefings, travel tips and cultural customs. Internal experts could blog about their areas of proficiency. Blogging could help an organization’s knowledge quotient explode and is definitely something worth exploring. Elgg is a social networking engine and publishing platform for running your own social networking site on a public or private server. It’s a free and open source application with templates and plugins for enhancements. Elgg is an aggregate of many social media technologies in one platform. 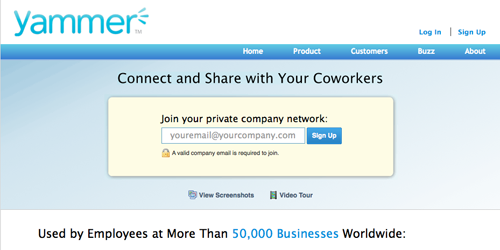 Users can create and join groups, connect with friends, display a profile, blog and microblog (similar to Twitter). In terms of content, people can add pages, upload presentations, documents and multimedia files as well as tag the pages. This makes Elgg an ideal platform for learning and collaboration. 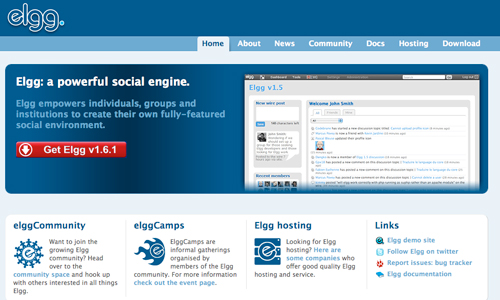 For example, a large organization with geographically dispersed offices can use Elgg on an internal server to introduce employees to each other and to share internal knowledge across offices; employees can use Elgg to create online study groups; and nonprofit organizations can build communities of common interest where members learn from each other. GoToMeeting and GoToWebinar have proven themselves to be topnotch ways to collaborate, discuss and teach. This is an easy way to initiate face-to-face collaboration through audio, screen sharing and now high-definition video conferencing. Meetings are started by a host who sends out a link in an email or chat. It takes around two-minutes for a first-time user to get set-up and started. This flexibility and ease of use could encourage impromptu learning events and meetings that can be set up in a moments notice, increasing the informal learning opportunities within and outside an organization. Users can share voice and video, display online PowerPoint presentations, documents, share the screen and show web pages, making annotations with drawing tools along the way. The collaborative feature lets participants get in the act by sharing keyboard and mouse control. You can also save and replay a meeting so others can learn from your meeting. There are several pricing models for using GoToMeeting, including a free trial for 30 days. 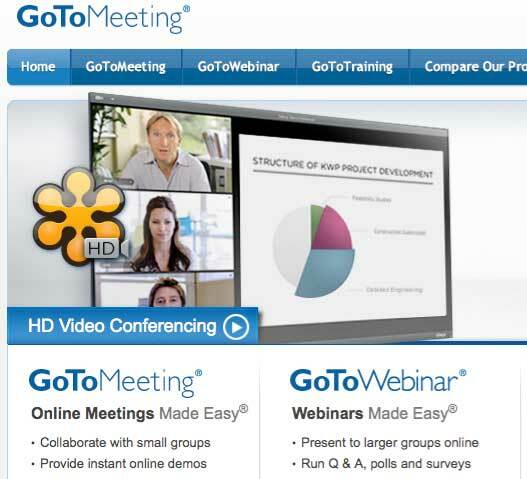 Note: GoToMeeting is a site sponsor, because I think it’s a great service. It would be difficult to create a ten-list without mentioning some of Google’s continually evolving Google for Education Tools for Education and Business. Google has created a compelling infrastructure for a variety of collaboration tools. 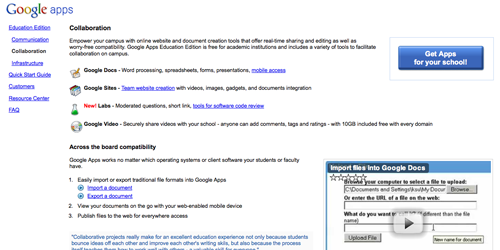 Some of the tools relevant to collaborative learning include: Google Docs (word processing, spreadsheets, forms and presentations); Google Sites (team website creation); Google Video (add comments, tags and ratings); Google Conversations (for integrating discussions) and Google Wave (combines email, Instant Messaging, Wikis and photo sharing), which has limited availability at the time of this writing. The key advantage to Google Apps is that all the software runs in a web browser, so that users with permission can view and edit the documents. The collaborative environment this creates encourages people to share knowledge and learn from each other, to engage in peer review and to generate content in a collective manner. 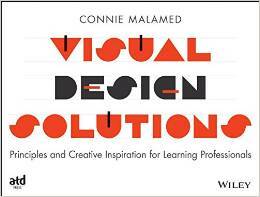 One way to learn and solve problems more effectively is by visualizing information. 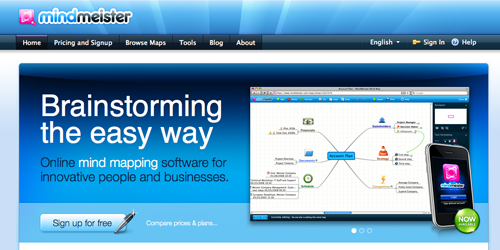 MindMeister provides a browser-based service for creating mind maps through an intuitive interface. These diagrams can be used during brainstorming sessions, as a way to explain concepts, for information organization and for creative problem solving. Mindmeister’s mind maps can be used in a collaborative environment, as well as saved and shared. When two or more users collaborate on the same map in real-time, all changes are replicated in a color-coded format so everyone can see updates instantaneously. Mindmeister comes with several pricing plans, from the basic free plan to a premium plan with enhanced security. Think of TalkShoe as a way to have your own radio talk show. This is a free web-based service in which anyone can create, join or listen to live interactive presentations, discussions and conversations. Talk shows can be recorded, making them available as podcasts later. Talk show hosts control the process and participants can just listen or join in by talking or via text-chat. For informal and impromptu learning, you can browse through their list of current and scheduled shows. To create your own workplace learning, you can schedule events on TalkShoe and then publicize them. Would you like a colleague to teach a course with interactive comments from a broader community? Would your organization benefit from a question and answer session with an expert, an interview with an author or a panel discussion using expertise outside of your organization? Then a live talk show may be for you. 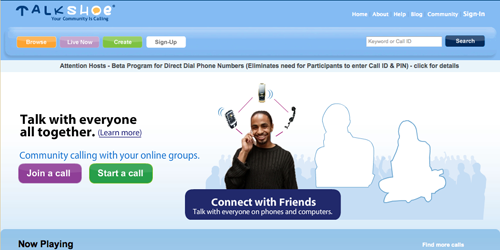 Hosts have control, but should be prepared to manage participants, who can join from anywhere on the Internet. 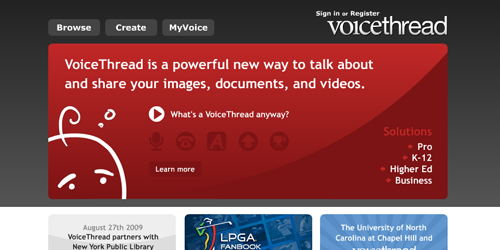 VoiceThread is a tool for having discussions around media, such as a presentation, video or image. Participants watch or listen and then comment by telephone, web cam, microphone, text or by uploading a file. Users can then delete and re-record a comment, as needed. A small photo or drawing of the participant is then displayed around the media. To listen to comments, click the photos or the Play button. Although this approach to discussion does not facilitate real-time conversations, it does promote collaboration and threaded discussion. For example, someone could propose an idea or a pilot presentation and solicit feedback from colleagues. Or a staff member could create a starter learning event that gets enhanced by the knowledge distributed around the organization, added as comments. 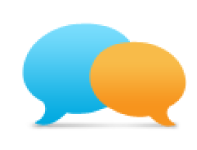 VoiceThread features include control over which comments are shown, embedding the conversation to any web page, drawing on the presentation while creating a comment, ability to create groups, privacy options and support for most accessibility standards. VoiceThread has a professional version for businesses that provides features for secure sharing and management of threads for staff and clients. 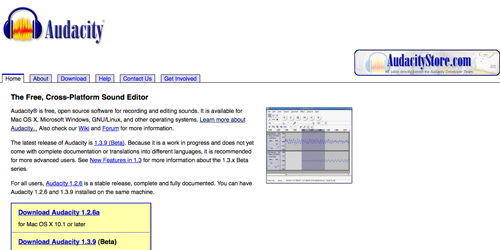 A Wiki is software for creating and editing interlinked web pages. 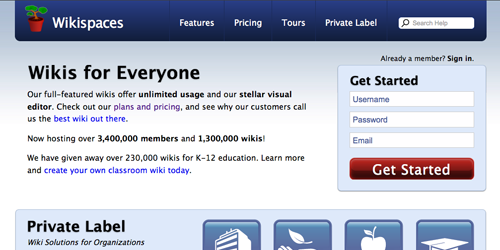 Wikispaces is one of the more popular wiki applications, with its reputation for ease of use and varied pricing models, from free to Private Label. Wikis promote collaborative learning and information sharing because anyone with rights can add content to the system. Imagine software experts adding their top tips to an organization’s Wiki after a new software roll out or asking experienced project managers to write up a “lessons learned” page at the end of each project. Wikispaces features a WYSIWIG editor, widgets for enhancements to other services, ability to upload multimedia content, discussions, RSS and email notifications, revision tracking and security options. If you’re looking for a completely free and open source Wiki for a large installation, check out MediaWiki, which is the downloadable software that supports Wikipedia. And if you’re willing to do some comparison shopping, see the amazing WikiMatrix to compare a long list of Wikis. Who would have thought that 140 characters of text could be so powerful? Yet microblogging has become a revolutionary way of streamlining communication. Twitter, the most well-known microblogging platform, is highly public—an issue for many organizations. Yammer is a compelling solution to this problem, as it provides a secure enterprise microblogging platform. It’s a simple means for social sharing within an organization and can become a surprisingly virile form of messaging, collaborating and discussing. At its most superficial level, Yammer can keep other employees abreast of the projects on which their colleagues are working. As participation grows and employees post their profiles with job titles, expertise and background, Yammer can develop into a social network with potential. This could transform an organization of isolated employees into a rich network of approachable contacts. As discussions grow to include questions, content links and information dissemination, content can be searched and serve as an organization’s knowledge base. Yammer seems to be a simple way to engage and to open communication across an organization. Have you checked out Mikogo? It’s a free desktop sharing app remote education and remote training. With it , you can share your screen live over the Web with 10 others. Many functions are included for the user: recording/playback, file transfer, whiteboard, remote keyboard/mouse control and more. Drop by http://www.mikogo.com for more info. Or feel free to contact me if you have any questions. Thanks! Great Article. Have you tried out Injoos Teamware. I would reckon that they have the most comprehensive integrated collaboration platform. With their latest release they have added a new twist to track and execute projects “the social way”. They have used Injoos+DimDim+Zoho for team collaboration and they work beautifully together. 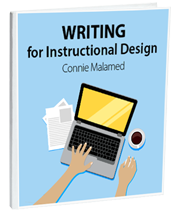 This is a really good list for all Instructional Designers (ID). 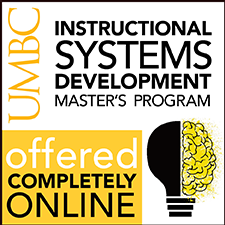 IDs have been using the Web 2.0 tools in their Learning Management Systems (LMS) more and more recently. To move away from the traditional teaching style and involve the learners in learning process more effectively, IDs use an interactive way of learning through blogs, wikis, podcasts, social networks, etc. As digital natives of our age, young learners do not use the computer only to facilitate their learning but all mobile devices (iPods, mobile phones, etc) also. They are more able than us, the digital immigrants of the age, in using the computers and other mobile devices so it is inevitable to blend learning with technology. 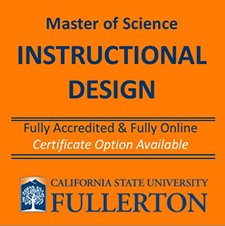 The use of technology, at this point, becomes more and more important because an e-learning program which is prepared carelessly, without considering the cognitive information process of learners, may result, in long run, in distraction for Web 2.0 tools rather than being a facility. The appropriate use of a blog, for example, may serve in many different ways such as giving feedback to an individual or group of students, or start a discussion about a topic, etc. Or the use of a social network can be very easy with a generation of Facebook if it is carefully planned as to serve to educational purposes. On the other hand, students should be trained carefully about how to use them efficiently. The goal of such tools should be primarely a two-way interaction which will enable students to be exposed to language use. In short, they are great tools and they really facilitate the teacher’s job and make learning fun for both parties. Skype – often overlooked for social elements. We are working with it on projects and ideas. It has chat, group chat, voice and video all of which can be easily kicked off when working within the project. I’ve also found http://bubbl.us/ to be useful when group thinking sessions. We use Mikogo at our company, Market Dojo, and it works brilliantly, saving us a lot of time and money from travel. I only hope that our b2b e-auction software works half as well!